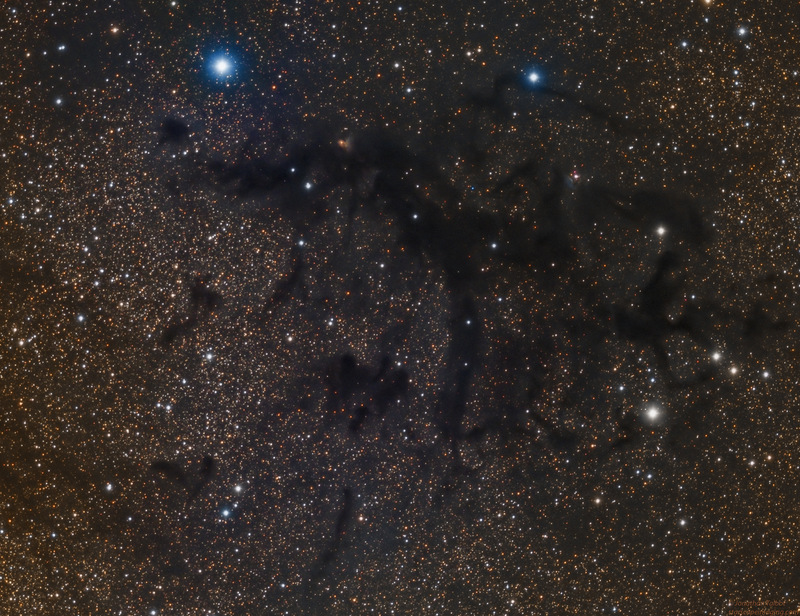 Looking like a scary monster in the summer constellation Aquila, lies the dark nebula LDN 673. Astronomers look in dark and dusty molecular clouds like this for tell tale signs of star birth. Near the upper part of the cloud, on the left side, is the reddish nebula RNO 109 caused by the energetic outflow of a young star and to its right along the upper right is the Herbo Haro object HH32. This image combines data from Luminance, Red, Green and Blue filters and was taken at the 2017 Texas Star Party. Processing was done with PixInsight 1.8.